Gives you the results you need to improve your glucose control. Effective: Betachek Visual is a proven blood glucose testing solution for effective control of blood glucose levels. 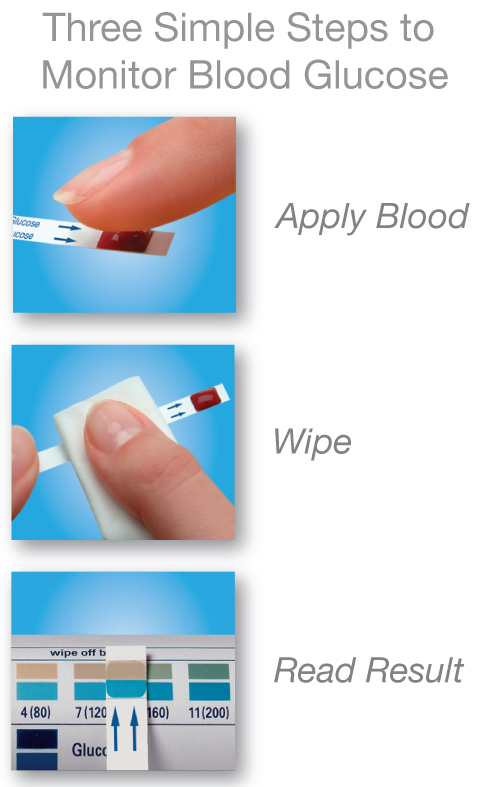 Affordable: Betachek Visual test strips are better value than other test strips which means you don’t have to cut back on testing. Convenient: Betachek Visual requires no coding, no batteries, no cleaning, no careful handling, no control solutions. 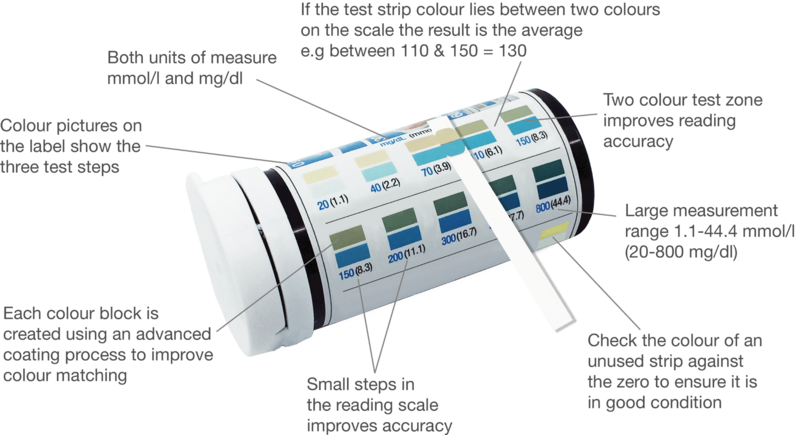 Quality you can depend upon: UK government tests show excellent precision and accuracy (R2=0.99) when read in a meter. When read visually by trained patients the correlation with lab has been shown to be R2=0.973.